Nicola Miller started writing Little Ted stories to help her own son Eddison after his diagnosis of XP aged just 13 months. Having found no age appropriate reading available to help her explain this very complex condition to Eddison writing her own seemed the natural step. Very quickly the family fell in love with him and the first Little Ted series was born. Realising the power these simple stories had in helping with understanding life with XP and in opening up dialogue, discussions began about how to get this same simple tool to all parents dealing with the same issues. This series of six stories was gifted to Teddington Trust and along with our bespoke UV reactive character bear we created the Little Ted pack. Our ambitious objective is to reach every child with XP made know to us globally - FREE of charge!! The eligibility for our Little Ted programme is that you must be a child aged 0-12 years with a confirmed diagnosis of XP. If your child, or a child you know meets this criteria and hasn't already received our pack please click this link to register your interest: LITTLE TED or email support@teddingtontrust.com. Please note all books are printed in English, however, if you require translation please contact us. We welcome enquiries from individuals and XP support groups and societies who we are very happy to work with. Groups should contact us with details of their geographic region covered and number of their eligible children. Our complete Little Ted series is also available to download for FREE in most e-ready formats. Click links below to download. Making it easy for Little Ted to reach as many people as possible. If you would like hard copies for friends, family or nursery or school setting these are available directly from our Friends of Teddington Shop. To date we have shipped to 11 countries, from the UK to as far afield as the USA, India and South Africa. Please take a few minutes to meet just a handful of the wonderful XP children of the world who can now call Little Ted here own, and see map for distribution reach so far!! 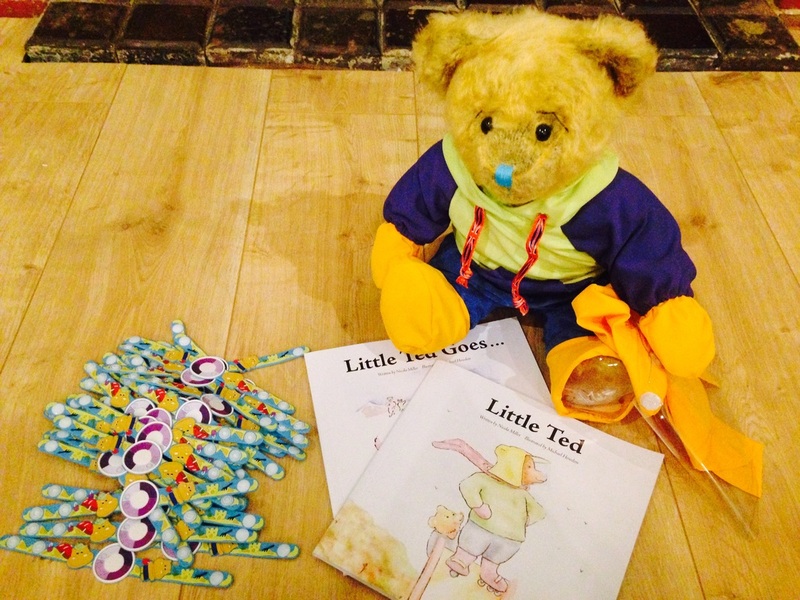 To date all Little Ted packs have been funded by fundraising efforts carried out directly by Teddington Trust, with the exception of the UK, which were funded by the Guys & St Thomas, NHS Foundation. It took 12 months from completing the initial Little Ted stories, to holding a set of the finished books and bear in our hands. This was only possible due to the dedication of our amazing team who all worked tirelessly on this project, and above all believed in us and the project. (Right from the first call when we rambled about creating books and bears to send to children around the world....with no previous experience!). Michael Howdon was our first enlist, who immediately agreed to illustrate what at the time was 3 stories....and very quickly became 6! Michael worked very closely with us to achieve the right styling and format for the stories and everyone involved fell in love with his illustrations. Next was Jane Ward at Parkers Design & Print, who leapt in to help considerably with guiding us through the process and with formatting and printing of the books. And in order to reach the point of ordering our first set of books we needed funds and so Jane helped us create our Friends of Teddington BAKE. MAKE. DO book which we produced to raise funds to get the Little Ted project off the ground, and which we continue to sell to fund the continuation of this project. Then of course what was missing was Little Ted our lovable bear. Kerstin Blackburn from Canterbury Bears immediately understood our vision and believed in the project and very quickly we had Little Ted Mark 1. With a few tweaks, some adding and taking away of stuffing and creating his unique UV reactive paw our finished bear was ready...well nearly? Every XP bear needs his own UV protective clothing. This was tricky! As Little Ted is an educational resource it was vital that his clothing was authentic and would prove `safe` if tested by the children, so we went straight to one of the leading suppliers of high quality UV protective clothing. Christiane of Hyphen based in Germany has worked closely with us to make sure that every bear is dressed in the UV protective clothing, including face visor. Job done....just the small job of pre-hugging every bear before it is sent to its new home and shipping them across the world!